The NCRA/ANREC Board of Directors is conducting a by-election to fill two vacant positions on the Board. The elected candidates will serve on the Board until NCRC 2017. Time commitment is approximately 10-25 hours per month for Board and committee meetings and associated action items. To participate as a candidate in the by-election, please complete and return the Board Nomination Form to larry.portelance@gmail.com by Thursday, July 9 at 5pm PT. On July 29, 2015 at 12am PT, the list of candidates and voting instructions will be distributed by email to NCRA members. The NCRA is investigating allegations of sexual misconduct and discrimination which have arisen from the NCRA 2015 Conference in Saint John. The association requests that anyone interested in providing detailed information do so via the following methods as noted below in order to assess the situation and reply with a detailed response. The Board of Directors takes these allegations very seriously. We ask that in respect of the situation and the safety of the people who are potentially/allegedly involved, information be submitted through the requested channels and not published through social media or other forms of public displays. The Board of Directors of the NCRA has reviewed the information submitted by members with respect to conduct by members at the National Campus/Community Radio Conference in Saint John, and has struck a sub-committee to work with a third party organization to best move forward with its investigation. We continue to encourage anyone who wished to submit information to do so via the opportunities as listed, and will respond to those who have indicated they wish to be updated when we have enough information to address their concerns or questions. Peach City Radio Approved as CFUZ! On Monday May 4 2015, the Canadian Radio-television and Telecommunications Commission (CRTC) released their decision approving the Peach City Community Radio Society (PCCRS) application for a low-power English language community FM radio station in Penticton. Check them out at CFUZ-FM! In 2016, Peach City Radio plans to broadcast a 49.9 Watt signal under call letters CFUZ and at a frequency of 92.9 MHz on the FM dial. “We are overjoyed with the decision this week from the CRTC. It is the culmination of 5 years of hard work by our Board and volunteers. We are very proud to have attained this licence, and to be the first community-run station in the Okanagan, something long overdue in this area. We’re looking forward to making this station happen for the citizens of Penticton. This decision is a giant leap forward for our organization," said Dave Del Rizzo, Peach City Radio president. New April Newsletter Out Now!!!! Check out our latest Transmission! Check out our Careers section as we highlight the latest jobs available in the sector. 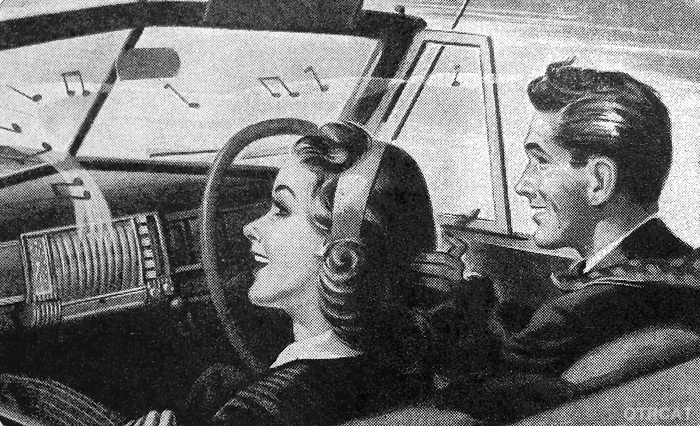 In the Press: We look at the radio in the car! With an article in Forbes magazine we discuss what role the AM/FM dial plays today, and how the UK is leading the way with the switch to Digital. Message from Freya: A message to our members about Re:Sound and Tarriff 8. Also don't miss the updates on the NCRC, Grants, Great news from our stations! And so much more. Check it out! Join them for this free event to celebrate the launch of Media Works. The evening will feature labour reporting articles, audio documentaries and graphic journalism pieces commissioned for this project. There will be a moderated discussion with contributors to the project about current issues in media work and labour reporting. Plus: Free copies of the handbook on the rights of media workers and on how to improve labour reporting. Find out more at www.media-works.org. NCRA Community Radio Awards Now Open! Since 1993, the NCRA/ANREC Awards have honoured the amazing programming, people, and activities of our sector and continue to reflect the range and diversity of campus and community radio across Canada. Each year, recipients receive national recognition (and unique trophies) at the NCRA/ANREC Awards gala, held during the annual National Campus and Community Radio Conference. This year that's in Saint John, NB hosted by CFMH-FM. Executive Director job posting: deadline extended! The NCRA is seeking a full-time Executive Director. Based in Ottawa, the ED will work with and report to the NCRA/ANREC Board of Directors. Deadline for applications is Wednesday, April 8th at midnight PT. See the Careers tab for more details! Rendez-vous de la Francophonie: March 6-22! Rendez-vous de la Francophonie is an annual celebration of Canada's membership in the Francophonie and promotes the French language and its numerous cultural expressions. It runs March 6-22 in communities across Canada, check out the project website at www.rvf.ca. La Francophonie is an international organization representing countries and regions where French is the first or customary language and/or where a significant proportion of the population are Francophones and/or where there is a notable affiliation with French culture. Canada is one of its 57 member states. A full list of all members and observers can be found here. The newly-appointed head of the organization is former Canadian Governor General Michaëlle Jean. To help celebrate Rendez-vous de la Francophonie, nine NCRA member stations from across Canada are each producing 17 daily two-minute audio capsules that document local Francophone culture, highlight Rendez-vous de la Francophonie events, and the importance of bilingualism. Check out some of the capsules already produced here! On Wednesday, February 25 to Thursday, February 26, 2015, CFRC 101.9 FM in Kingston, Ontario will host the 2015 Homelessness Marathon. The yearly overnight broadcast is shared on campus and community stations from coast to coast, creating linkages and raising awareness of homelessness in Canadian communities. The Marathon began in 1998 in Geneva, New York and this year the 17th annual Homelessness Marathon will take place in Sarasota, FL. The concept moved North to Canada 13 years ago with CKUT-FM in Montreal as the host station. Last year the Marathon was hosted by CJSR-FM in Edmonton. The 2015 marathon will feature local and national programming including 14 stations representing six provinces, as well as a special edition of GroundWire focusing on homelessness, with headlines and feature stories from more stations across the country. The 2014 Homelessness Marathon was broadcast by 35 community radio broadcasters across Canada. Check out CFRC-FM's webpage about it here. Voices of Community Radio: Week Eight! It's Programmer Week redux on this instalment of Voices of Community Radio! Listen to the double-or-nothing host of the shows G R L G R M S and Mood Swings on CIVL-FM in Abbotsford and Resonating Reconciliation producer, Alicia Williams! Listen to Jarrett Evan Samson, Tough Age frontperson and bass player of the Apollo Ghosts talking about his old show Geographing on CJSF-FM in Vancouver and how radio helped him get in to playing music himself and inspired him to start his own label. Hear about Christmas Spooktaculars and awards on this week's Voices of Community Radio! Support community radio for all! Become a Friend of Community Radio.